The Streets Reimagined team were delighted to support The Lamplighters in the production of the 'Deeds not Words' Parade to mark 100 years since (some) women gained the vote for the first time in the UK . 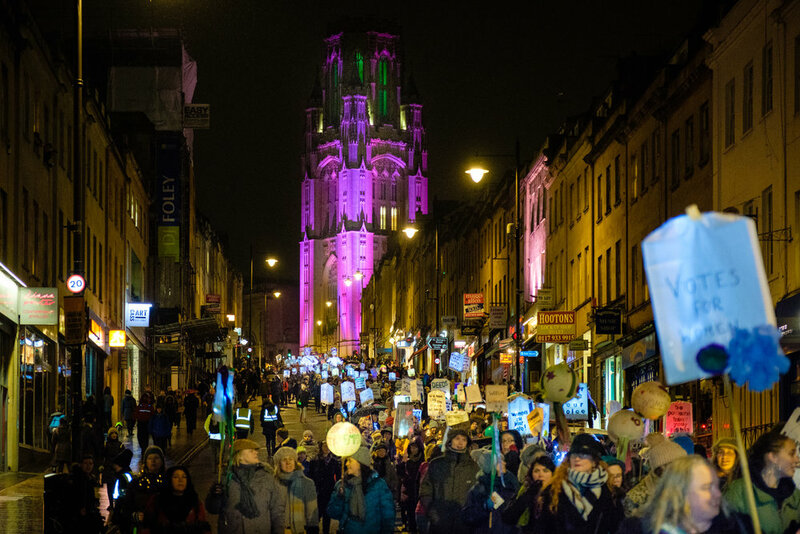 The parade took in a number of city-centre streets which witnessed key events in the Women's suffrage movement in Bristol. Our role was to develop a procession plan and co-ordinate stewards and traffic management on the evening.